The Telugu Association - Thailand (TAT) is an organization formed to perpetuate, integrate, and assimilate the cultural heritage of the Telugu speaking people of the Thailand into the mainstream of the cultural heritage of Thailand. Preserve, maintain and carry forward the cultural heritage of Telugu Community in Thailand. 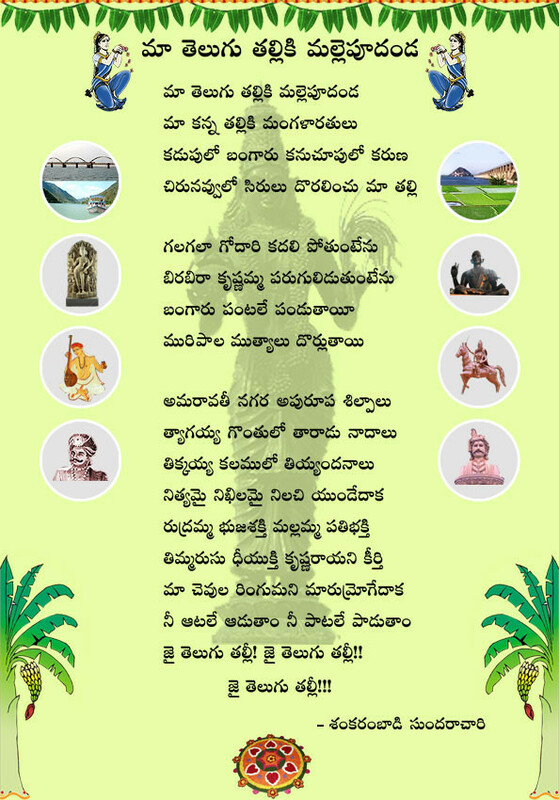 Encourage and facilitate to follow the Telugu customs,traditions and values. Forster friendship and understanding among Telugus and promote unity among the community. Promoting the understanding of Telugu literature, art, culture, music, dance, and drama among the children of Telugu speaking people in Thailand and their Thai friends. Negotiate to promote and propogate Telugu language and Telugu history through the media and other institutions.